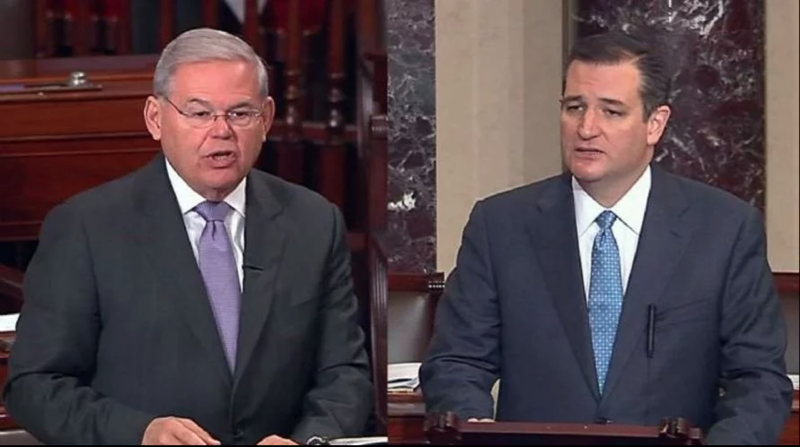 “It is important that all parties respect the Constitution of Bolivia,” said Senator Ted Cruz. A bipartisan group of senators from the United States yesterday [02/02/2019] presented a legislative resolution calling on Bolivian President Evo Morales to respect the limits of presidential terms and not run for the presidential elections in October. Evo Morales is the president with more time in the Presidency with three consecutive administrations and aspires to a fourth term until 2025. This possibility was opened after the ruling of the Constitutional Court that decided to respect his “human right” to run again. “We must have a clear and coherent approach against any elected leader who tries to extend his control of power by circumventing his own country’s Constitution,” said Menéndez, the senior Democratic member of the US Senate Committee on International Relations. The Supreme Electoral Tribunal, in addition, concluded that this Constitutional ruling prevailed over the Magna Carta and the 21-F referendum that denied Evo the suppression of this limit. On the other hand, the opposition will seek an action by the OAS, the IDH Court and the Lima Group to stop the nomination of President Evo Morales, opposition candidate Carlos Mesa announced yesterday, according to AFP. The strategy involves requesting in the first instance to the Organization of American States the application to the country of the Inter-American Democratic Charter, because “it is violating the letter” regarding “the independence and coordination of powers,” according to Mesa. A second step will be the demand before the Inter-American Court for the interpretation of the Pact of San José, referring to the right of citizens to be elected to public office. “What we want is for there to be an official interpretation of the Inter-American Court of Human Rights on what should be understood by article 23 and the defense of citizens’ rights to elect and be elected,” Mesa said during a meeting with the foreign press in La Paz. For the former president and main rival of Morales, the position of the court is key, because he believes that it can allow the Lima Group to act in the case of Bolivia, for the “illegal” renomination of Evo Morales. Bolivian Thoughts opinion: It is about time that the US Congress have an opinion about the illegitimate and illegal intention of evo to perpetuate himself in power. After what is going on with Maduro, his time is also reaching an end … democratic liberties must prevail!